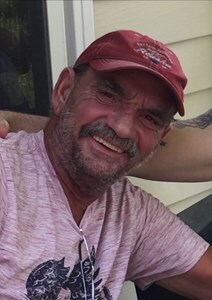 Keith “Preacher” Norman, 63, of Beech Grove, passed away on March 24, 2019. Keith loved his wife, children and grand-children, they were his whole world. He also loved his extended family and close friends as well. Preacher never met a person he didn’t like, he touched everyone in a way that they will always remember him. Preacher had a love for life that was infectious, and everyone that got to know him, loved him. He enjoyed listening to music and singing karaoke. He liked being outdoors and took pride in his yard work. He was a craftsman in ceramic flooring for over 25 years and loved what he did. Keith “Preacher” Norman will be deeply missed but remembered by all! Preacher is survived by his wife: Kandi (Kernodle) Norman; children: Tammy Stone, Katrenna & Larry (favorite son-in-law) Parks, Kristine Norman & Eric Fine, Keith Edward Norman II, Korey James Norman, Kristian Benjamin Norman; siblings: Paulette Klingensmith, Donna Lawson-Archer, Andrea Lawson; 11 grandchildren; 1 great-grandchild and a host of other family and friends. Preacher was preceded in death by his daughter: Korina Norman; father: Donald Lawson; mother: Alice Brewington; sister: Trenna Houchins. Visitation will be on March 29, 2019 from 4 P.M. until 8 P.M at Newcomer - Indianapolis Chapel, 925 E. Hanna Ave., IN 46227. His Funeral Service will be conducted on Saturday at 12 P.M.
To share a memory of Preacher or leave a special message for his family, please click the "Share Memories" icon above. Add your memories to the guest book of Keith "Preacher" Norman. Keith forced me to deal with the highway transitions around here, when "I" was a teenager. The 65 into downtown was the worst, and I'd cry, literally. He was right there, telling me, its O.K, stay calm, stay in this lane, etc. etc. You were a dad to me and you treated me like your daughter. I have missed a lot of moments since I moved away but when we were together it was as if I had never left. You had the best hugs and kisses. You will forever have an impression in my heart and will forever be missed! My heart is breaking for everyone who loves and was loved by you. I'm sorry I cannot be there to tell you goodbye. I'll see you in Heaven papa bear. Thank you for loving me. Love your baby girl, April. Had a lot of fun times with you my friend. You were the craziest fun loving person I ever met! We can all take some life lessons from you. You will always be remembered. Rest in Peace. You were a great friend & we had a lot of good times together. You will be missed!!!! Thoughts & prayers to your family & friends. Rest In Peace my old friend. Your smile was contagious ?????? Preacher treated me like I was his own daughter : .) He would take me around everywhere with him. My best memories with Keith are from when I was growing up! He would go tubing with me at Lake Monroe when we had our lake house; & he was always the first one to jump off the boat when we docked anywhere! Preacher would take me around to see every vendor at Hillbilly Days Festival, in Kentucky; & was always so much fun at water parks. There wasn’t a single water slide he wouldn’t pass up, to ride over & over again with me. He would pick me up and give me the biggest hug. The kind that made you feel like your the only person in the world, for that moment. He was always singing & dancing; & pulling me up to stand on his feet so I can dance with him, when I was a little bit : .) This is what means the most in life: Is the precious time & the people you get to share it with. Thank you Keith for allowing me to share some of that time with you! I love you forever!